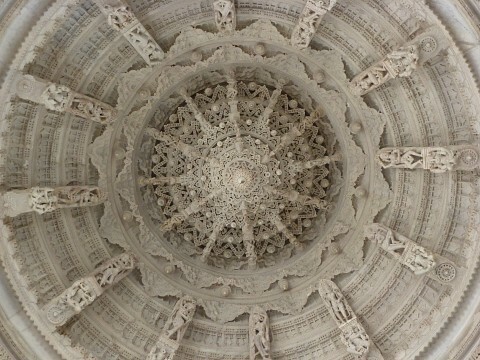 The Adinatha Temple in Ranakpur, a village located between Jodhpur and Udaipur in Rajasthan, India, is more commonly referred to as the Ranakpur Jain Temple. 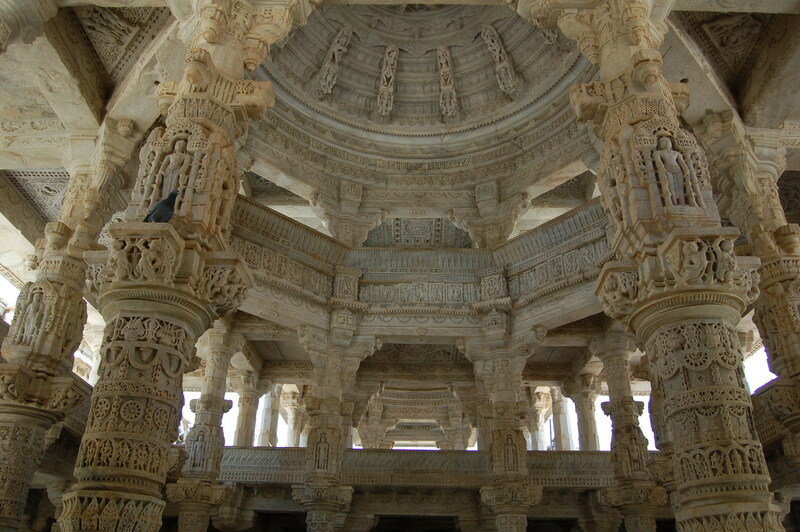 The most spectacular among all Jain temples, it is dedicated to the first of the 24 tirthankaras (human beings who lead other souls to eternal salvation or nirvana) led by Lord Rishabha , also called Lord Adinatha. It is considered one of the five holiest pilgrimages that Jains commit to undertake once in their lifetime. 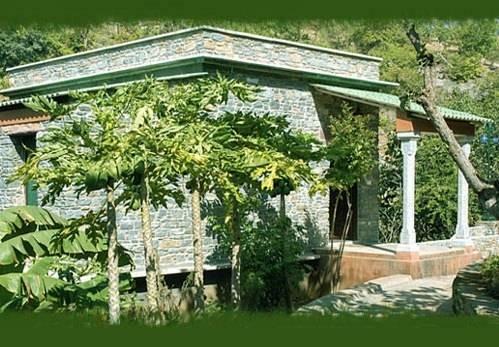 The temple is located in a scenic valley among the mountains at the northern edge of the Aravali mountain range. A Jain businessman, Seth Dharna Shah, had a dream wherein he saw the Nalinigulm Vimana (the heavenly chariot). He approached the then ruler of the kingdom, Rana Khumbha, in 1433 seeking land to build a Jain temple dedicated to Adinatha. The astute Rajput monarch, a Hindu and tolerant of all religions, granted the request on the condition that the temple be named after him. 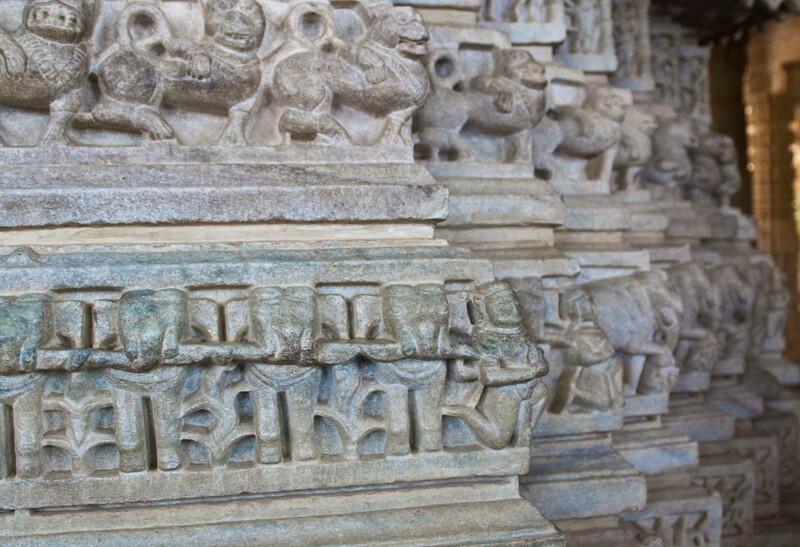 That is the reason why the village is named Ranakpur, and Dharna Shah built the temple in the shape of the Vimana. Dharna Shah invited architects from all over India to submit their plans for the temple, and finally selected Depak Shilpi for the onerous task. An inscription dated 1439 mentions that Dharna Shah was the builder and Depak Shilpi was the architect. Though the exact time that was taken to build the temple is not entirely clear, it is an accepted fact that the construction took well over half a century. The inscription, mentioning the king, is believed to have been carved on the portion of the temple completed during the reign of the Rajput ruler. 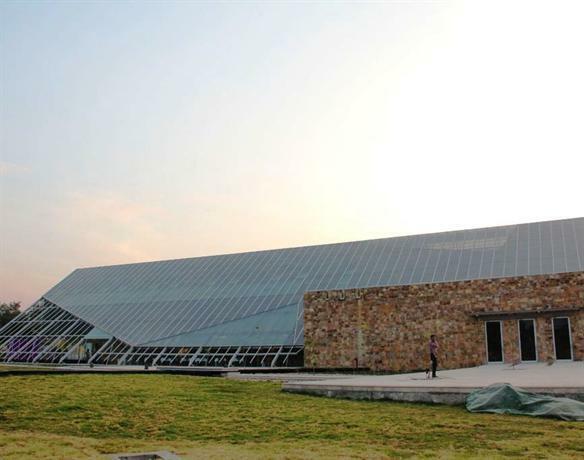 The temple is built on a rectangular platform that measures 60 by 203 feet. A flight of stairs lead to the balanaka or the entrance hall. The hall is three storeys high with a multi-domed roof. There are several gaps between the domes that allow ample light to illuminate the intricately carved columns and the sculptured ceiling. In all, there are 1,444 columns within the temple, no two of which have the same design. The domes at various levels are linked by brackets carved with sculptures of deities and nymphs playing the flute in various postures of the celestial dance. The bells in the shikara s and the cupolas create a harmonious sound when they chime with the wind. Built entirely of pale marble, the temple is a chaumukha, or a temple with four faces. The inner sanctum therefore, has entrances on all four sides. The quadrupled (four-faced) image of Adinatha, the first tirthankara, symbolizes the fact that he had conquered the evils in all four directions of the cosmos. On each side of the inner sanctum are a series of pillared prayer halls called the “Mandapas”. 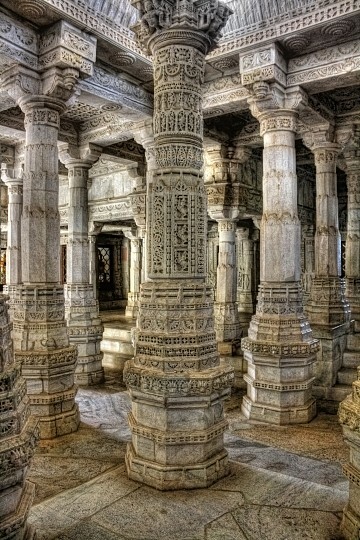 The colors of the marble pillars and the walls change from pale blue to golden with the inclination of the sunlight. Within the compound are three other temples of profound significance to Jains. The Parsvanath Temple was built in the 15th century and is another fabulous architectural feat. Close by are the temples dedicated to Neminath (the 22nd tirtankara), and the Surya Narayan Temple, dedicated to the Sun God. Sadri is a village about eight kilometers away from Ranakpur, wherein is the Chintamani Parsavanath Temple, the Varahavtar Temple, and an old dargah of Khudabaksh Baba. 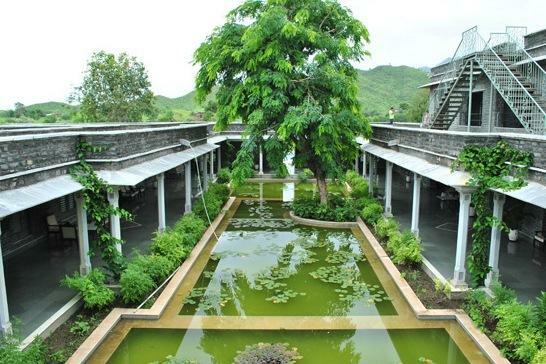 In the w-Kumbalgarh Wildlife Sanctuary is the Muchhal Mahavir Temple with two splendidly carved elephants guarding the gate, and the statue of Lord Mahavir sporting a mustache. The Gharasia tribe inhabiting the village is renowned for their colorful costumes. 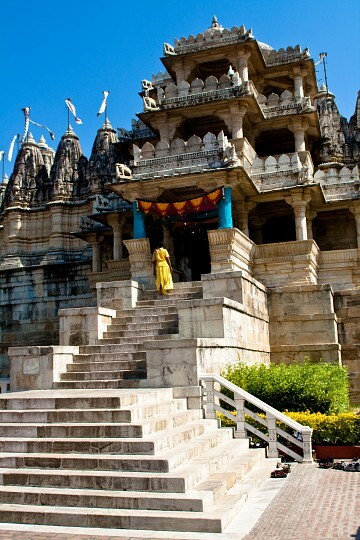 In Falna, a town close by, the Jain golden temple is worth visiting. The ladies of the town donated 90 kilograms of gold for the plating of the temple's dome. 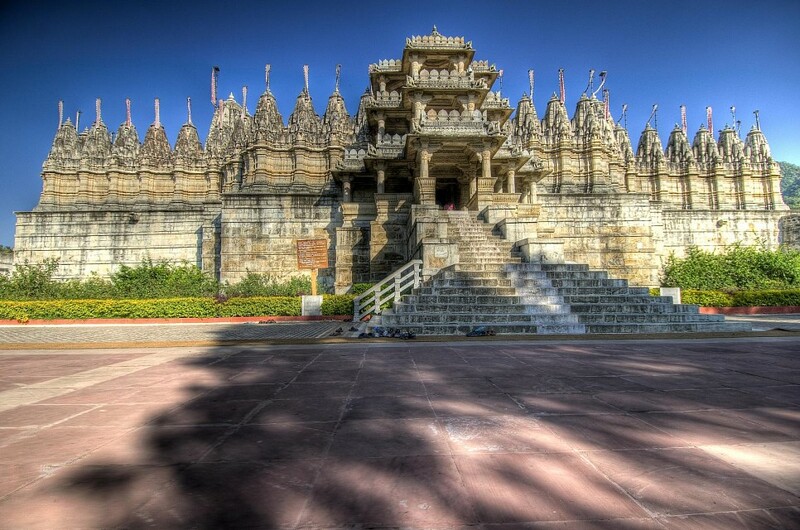 Ranakpur is situated between Jodhpur and Udaipur, both cities with airports and railway stations. 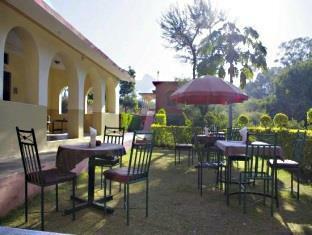 While the valley is 99 miles from Jodhpur, and 56 miles from Udaipur. 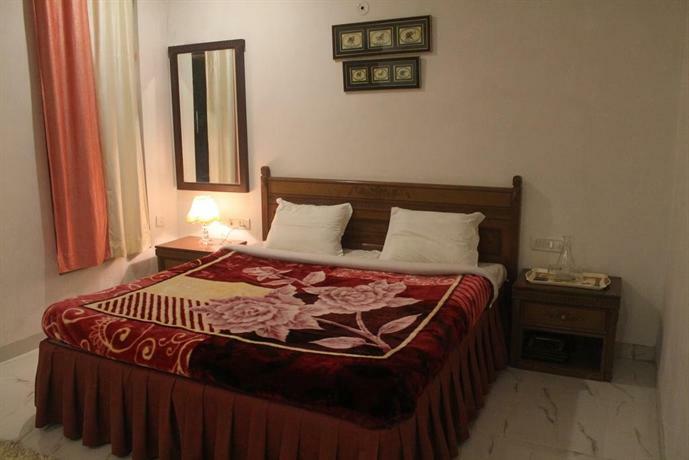 Accommodation is available in Ranakpur itself with rates ranging from $ 10 USD to $ 100 USD . 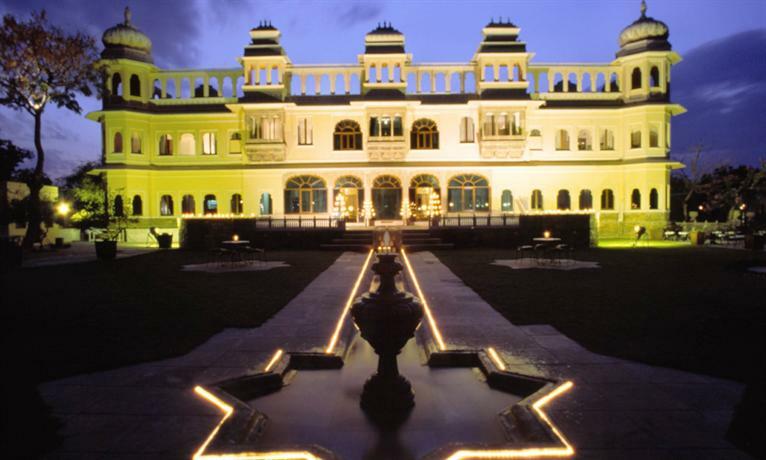 Udaipur and Jodhpur also have several hotels for the more affluent like the City Palace in Udaipur. The Marwari cuisine of Rajasthan is varied and includes both vegetarian and non-vegetarian dishes. Safed maans (meat cooked in curd) and Mohan maans (meat cooked in milk), are some of the popular dishes along with sweets like halwa and churma.